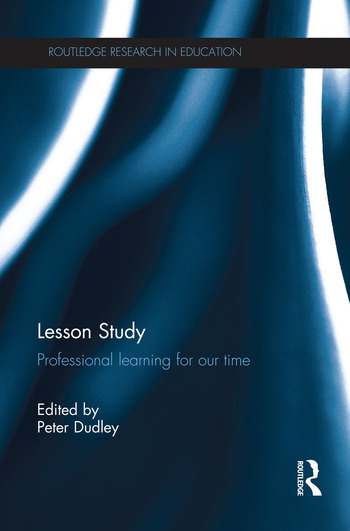 This book introduces readers to the development of Lesson Study (LS) in the UK, making historical connections to the growth of Lesson Study in Japan, East Asia, the US and Europe. It explains how to conduct LS in schools and educational institutions, providing examples of compelling, externally evaluated impact outcomes for both primary learners and teacher learners, and vivid exemplars of LS in action across age ranges and curricular contexts. Each chapter presents international research outcomes that clearly demonstrate how and why LS has a place within teacher learning approaches that have the greatest impact and the greatest capacity building potential for creating outstanding teaching. This is supported by primary research evidence, and linked with contemporary and recent high quality research worldwide into pupil learning, teacher learning, school improvement and system improvement. The book illustrates the diverse application of LS for innovating or transferring highly effective practices in a variety of contexts to boost learning for children with a range of challenges and specific needs. Lesson Study provides a global perspective on the development of LS worldwide, exploring its impact on innovation, creativity, curricula and achievement in a variety of contexts. It will be of key interest to practitioners in schools and teacher education institutions, researchers, and policy and decision-makers at local, national and international levels. The book’s explicit focus on the leadership of local authorities will also make it valuable reading for all leaders of professional development and school improvement. Peter Dudley is an education leader in Camden, visiting Professor of Education at Leicester University, Secretary of the World Association of Lesson Studies and founder of Lesson Study UK.